Have you heard about the new WordPress 5.0? The WordPress has finally decided to doom you all! Just kidding. But there is no doubt that this new update will bring lots of changes and new editor experience. In the recent interview, the founder and lead developer of WordPress Matt Mullenweg stated that “Big changes are coming”. He has also assured that users should not be worried and prepare themselves to face the change. Now, even after reading the statement a regular WordPress user like me still would be afraid. But in the fear, I hold some curiosity for the new version and what WordPress development change it is going to bring to day-to-day users. 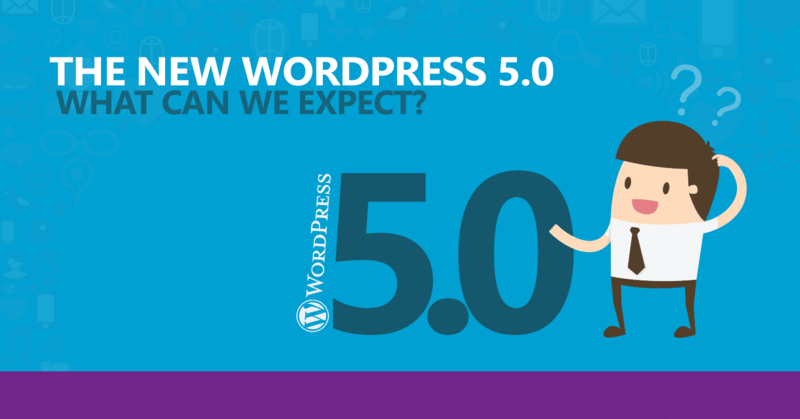 So, without wasting any time let’s learn about the WordPress 5.0 and how you can prepare your website for this change? Every single time when WordPress introduces a new update everyone gets happier about getting with the latest features. However, in all these years, only a few versions have gained as much attention as 5.0 which is also known as Gutenberg. No, we are not talking about German inventor here but the total re-design and re-edited version of the WordPress editor. Many users believe that this new version is going to change how people create content with the WordPress. If you are using the WordPress for a long time then, you must have witnessed the changes in the platform. Each update has a significant role in bringing the shift. For instance, the 4.9 updates also known as ‘Tipton’ enabled users to schedule the design changes in the website which will go-lives in later dates. On the other side, the 4.8 updates have introduced lots of widget updates to users. But no matter how big these updates are the 5.0 will going to be the game changer for once and all. Related Post: WordPress Free Plugin Vs Premium Plugin: What To Choose And Why? The Gutenberg update is going to change how WordPress handles its releases. The WordPress is thinking about moving from the schedule model. This means that platform is lifting up the pressure of the deadline which will further allow the platform to take for significant leaps. Apart from that, there are some other important changes that make WordPress 5.0 a bigger jump and users can also grab the best deals on WordPress. When it comes to market share WordPress is still the Alpha of the pack. By bringing the new updates on the market the platform wants to improve the site-building functionality which will help to hold the market share against the hosted website developers. This new Gutenberg update is going to bring some improvement in the WordPress rest API. This is the feature that allows web development companies to come up with featured-filled products by pulling and sending data from the website. This means the developers will be able to create more amazing products using the WordPress as a framework. The WordPress comes with hundreds of plugins and theme but customizing them could be much harder. The Gutenberg update will allow users to build themes easily without any hassle. In the end, you should not panic as if you don’t want to update then don’t do it and Apart from Qdexi Technology is always here with their PHP CMS Development solution for business.